Can Google Earnings (Nasdaq: GOOG) Push Stock to $1,000 a Share? Alphabet Inc. (Nasdaq: GOOG, GOOGL), formerly known as Google Inc. up until Aug. 10, is at the end of its third quarter 2015. It's been an impressive 14 weeks for the innovation powerhouse. To start, GOOG stock is up more than 12% in Q3 alone. That's a $55 billion market cap increase -- which means Google almost doubled the entire value of eBay Inc. (Nasdaq: EBAY), worth $29.4 billion, in a single quarter. As remarkable as that sounds, Google's stretch into truly surprising areas is the real standout story of its third quarter. Google Inc. (Nasdaq: GOOG, GOOGL) released earnings after closing bell Thursday. It missed on both earnings and revenue. But that didn't stop the Google stock price from climbing as high as 4.3% Friday. "Contrary to what the rest of the world believes, Google earnings are all but irrelevant except in the very short term." Money Morning Chief Investment Strategist Keith Fitz-Gerald knows Google Inc. (Nasdaq: GOOG, GOOGL) well. He has followed the tech giant since its founding in 1998. Just last week, Fitz-Gerald notched a successful prediction he'd made years ago when the EU filed antitrust charges against Google on April 15. 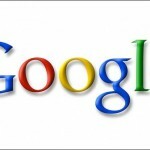 Google Inc. (Nasdaq: GOOG, GOOGL) reported fourth quarter earnings per share (EPS) of $6.88 - $0.20 under projections. Revenue came in at $14.5 billion (16.9% growth year over year), also under expectations by $110 million. Our advice: ignore the bottom line miss. Ignore chatter about how Google's advertising has lost steam (the average price of Google's digital advertisements fell 3%). Google reported an earnings miss yesterday, which sent the stock down as much as 6% in after hours trading. But while Wall Street was displeased, not all the news was bad. Q3 earnings season is just about underway. Keep up-to-date on the key reports with this convenient 2014 Q3 earnings calendar for October, November, and December. Google earnings for the second quarter come out after the bell today - with most analysts expecting a strong quarter. 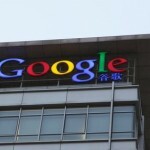 Google Inc. (Nasdaq: GOOG) is expected to report Q2 earnings of $10.78 per share on revenue of $14.45 billion. That compares with a $10.12 EPS profit on revenue of $9.61 billion in the same quarter a year ago, according to analysts polled by Reuters. 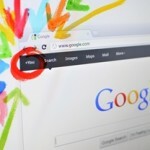 Google Inc. (NASDAQ: GOOG) reported first-quarter earnings after the close yesterday (Thursday) and the Internet search giant did not disappoint - and also delivered a surprising stock split announcement. First quarter profits at the Mountain View, CA-based company soared 61% to $2.89 billion, or $8.75 a share, up from $1.8 billion or $5.51 a share a year ago. Excluding stock-based compensation, profit rose to $10.08 from $8.08 a share. Total revenue was up 24% to roughly $8.14 billion.